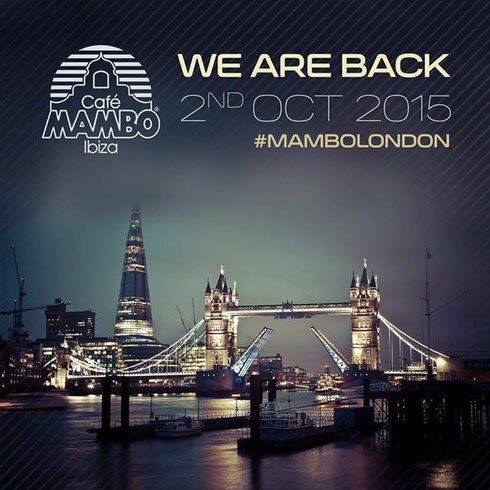 Café Mambo, the Ibiza sunset destination venue, has joined forces with UK promoter Take and Shoreditch club McQueen to host an Autumn party on Friday 2 October, following Mambo’s most successful Ibiza season yet. For over 20 years Café Mambo Ibiza has become an institution. Best known for hosting some of the world’s biggest DJs and the hottest pre-parties with the stunning backdrop of the world-famous sunset, the Ibizan venue has become a right of passage for revellers wanting to experience the magical sunsets and free party spirit of the White Isle. This summer Take hosted an opening party for Café Mambo exclusively at McQueen and October’s return party sees Cafe Mambo Ibiza resident Ridney back in the capital after playing at the previous McQueen event. He will be supported by Paul Johnson (Ministry of Sound, The Social), Chris Day, and residents Paul Sounds, Ashley Jakobs, Jaynee Wilkins& Alex Kristin, Tom Trevett, and Harry Nolan playing across the Lounge & Club spaces of McQueen and providing the all-night Ibiza soundtrack.